Welkom at the homepage of ABC business - limo. In the menu at the left hand side, you can browse through our homepage. We specialize in business and luxury transport. We are service-and client-orientated, accurate and flexible. For years now we have provided services to renowned clients and businesses. ABC also provides entertainment and organizes large events. 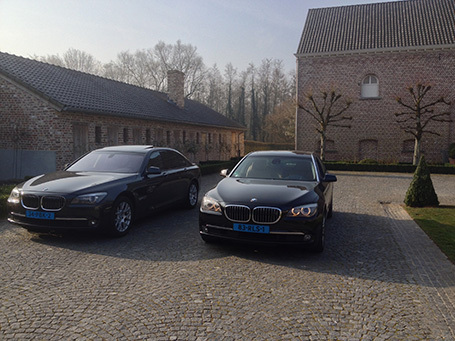 Our fleet consists of a variety of vehicles, including BMW-7, a series BMW-5, MERCEDES-Viano extra long, etc. Special services can be provided, e.g. at the airport and for special occasions. All our cars are equipped with navigation systems, television and executive design. We provide services throughout Europe.